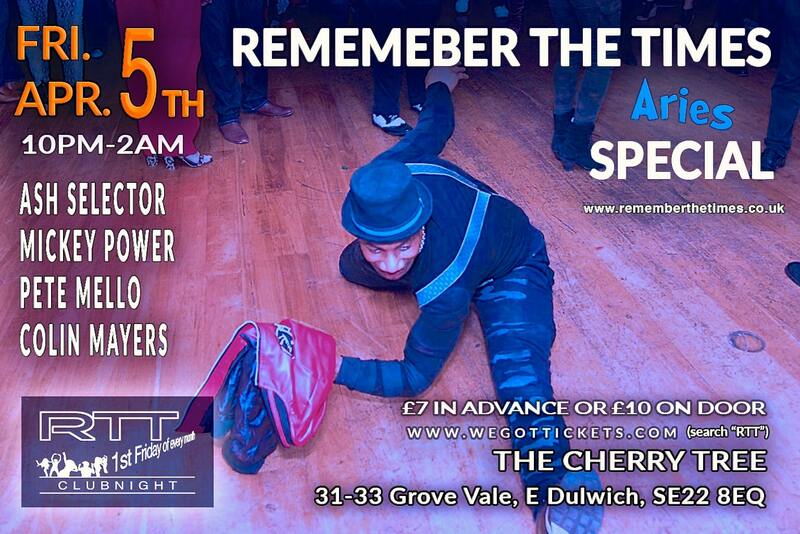 RTT IS ONE OF LONDON'S BIGGEST SOUL NIGHTS & OCCURS ON EVERY 1ST FRIDAY OF THE MONTH. MUSIC GENRES FEATURED ON THE 1ST FRIDAY OF THE MONTH :- Jazz Funk, Party Classics, Boogie, Funk, Rare Groove & Soulful House. 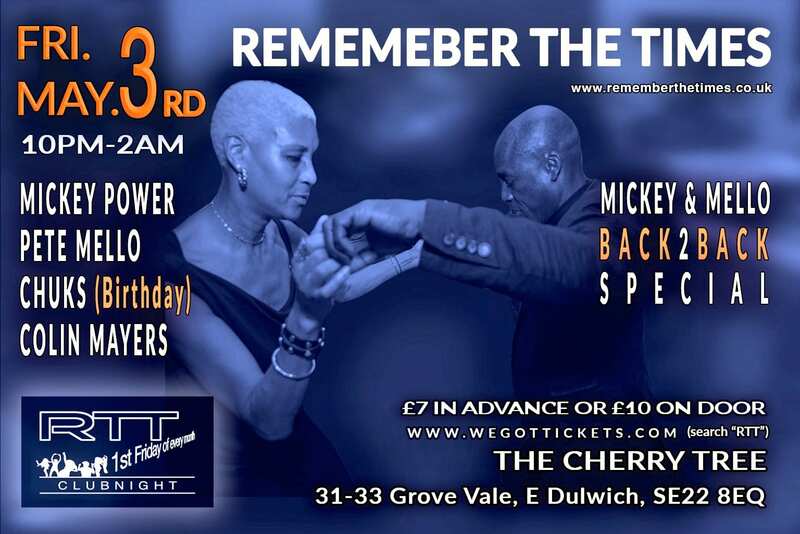 RTT is one of London's biggest Over 30's Soul Nights where happy, grown-up, like-minded soulful party people come to express themselves on the dancefloor, off the dancefloor both connecting & reconnecting with old & new friends to Remember The Times.